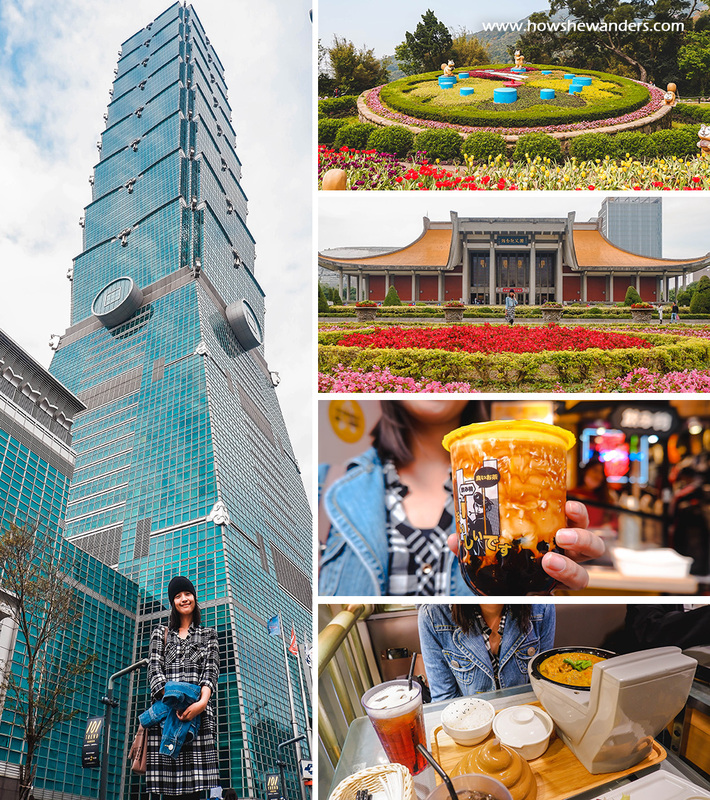 Taiwan has been on our bucket-list ever since it opened it’s doors to Philippine passport holders. Meaning, Filipinos could enjoy visa-free entry to Taiwan for up to 14 days, but only for a trial period which was until July 2018 only. We missed the trial period but it seemed Taiwan really wanted to see us so visa-free privilege was extended until July 2019! Our trip consisted of Taipei City, Taichung, Yangmingshan, and Northeast tour. We stayed for 5 days and 4 nights at King Plaza Hotel, a budget hotel famous for Filipino tourists. We spent around 18,000 PHP per person including airfare, travel tax, hotel accommodation, transportation, food, tours, pocket wifi rental, admission fees, pasalubong, everything (will share breakdown later in this post). 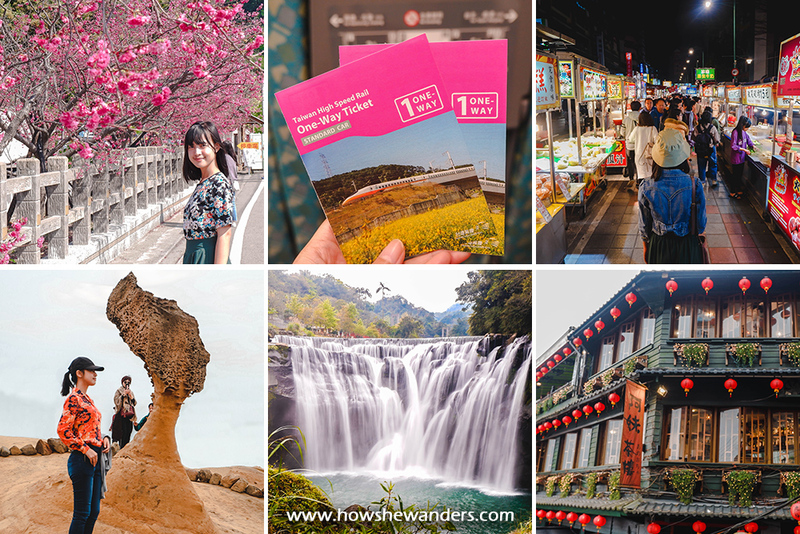 Some of the highlights on our trip were the cherry blossoms, High Speed Rail train experience, night markets, and of course, the Northeast tour! Here’s a map of the places we covered, including the transportation terminals. Click the icon on top left corner to see legend. 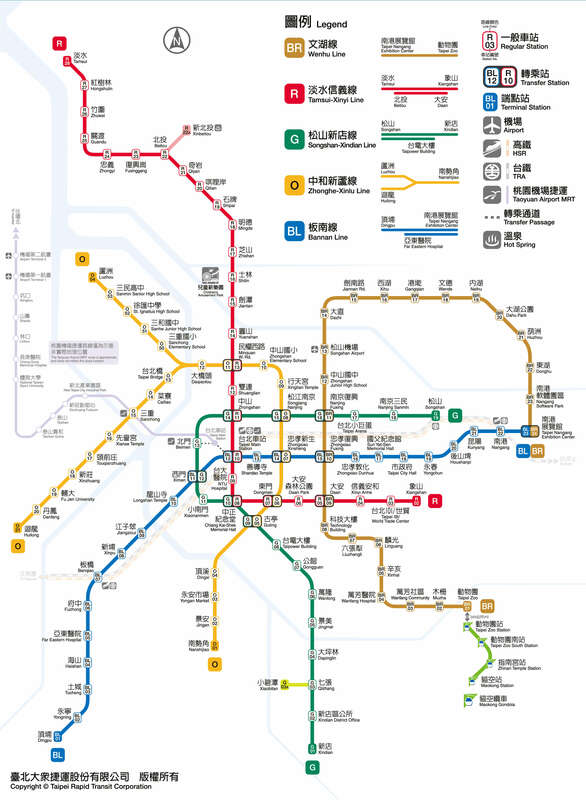 And here’s a route map of Taipei MRT. The original game plan was to have a half-day Taipei City tour on our first day (Chiang Kai Shek, Sun Yat Sen, Taipei 101, Elephant Hill). But due to delays in Taoyuan Airport immigration (there were huge lines), it was already 3pm when we started our tour. We did not expect the huge lines to think that it was Monday in a first world country. The immigration process was fast though, only took about 3 minutes, while falling in line took more than an hour! Then after the immigration, another line for Klook and KKday vouchers. Well, I thought this only happens in the Philippines. Nonetheless, hats-off to Cebu Pacific. No delayed flights, we arrived at our destination on time! Good job! We redeemed our THSR (Taiwan High Speed Rail) tickets and reserved our seats in advance so that we could go straight at the boarding gate the next day. We chose the 8AM schedule for Taipei to Taichung, and 2PM for Taichung to Taipei. In case you missed your schedule, you can still board the train at the non-reserved seats. The seats there are just the same as the reserved ones, only that it’s a first come first serve basis. Note: Our THSR vouchers were booked ahead of time (few days before our flight) via Klook. THSR vouchers purchased from Klook are not actual THSR tickets so you still need to queue at the ticket booth. Advantage? It’s cheap! We got THSR tickets for only 889 PHP each via Klook. Regular price is 750 NTD (≈1,200 PHP) if you purchase at the THSR station. So we saved around 300 PHP per way, a total of 1,200 PHP for the two of us. Thanks Klook! More details about our Day 1 here. As you can see, we missed our 2pm THSR schedule for Taichung to Taipei Main Station. That’s okay as long as you board the train within the day. We took the non-reserved seats this time which was still no hassle as the train wasn’t full. More details about our Day 2 here. 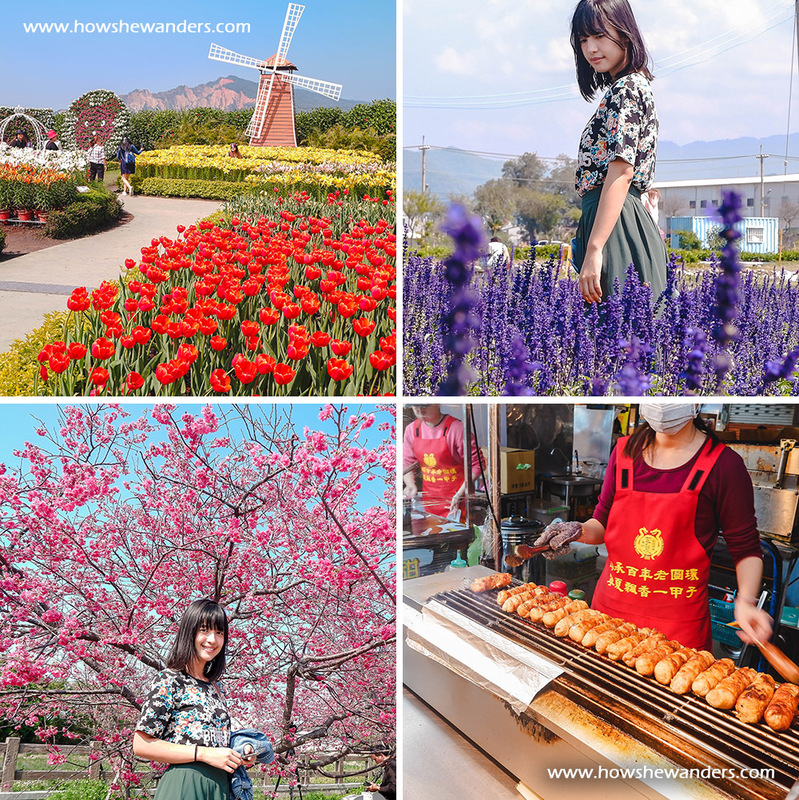 Our original itinerary for Day 3 was Yangmingshan and Tamsui tour. But since we failed to see Taipei 101 on our first day (it’s something we cannot miss) and there’s no other day we can visit that landmark, we cancelled our Tamsui trip and proceeded back to Taipei City. More details about our Day 3 here. Our Day 4 was set for Northeast Tour which we availed from KKday. It was an exciting and hassle free tour! Yehliu Geopark, Shifen Old Street & Waterfall, and Jiufen Old Street are located quite far from each other, thus, difficult to DIY. Not to mention there are no direct trips going to each site. This tour, in all honesty, was my most favorite! This KKday tour was set to end at 5:30 PM, which means no opportunity to witness the beauty of Jiufen Old Street at night time. So what we did was skip the KKday tour-bus back to Taipei City. We just took a public bus from Jiufen bus terminal (near Family Mart) bound to Taipei City. We were supposed to book the Northeast Tour via Klook but upon reviewing the package inclusions, Shifen Waterfall was not included but had the pineapple cake making in the itinerary. Since our desire to see Shifen Waterfall outweighs the pineapple cake making experience, we decided to book in KKday. Note: At Skyline Tea House, they don’t serve meals for non-chinese/taiwanese guests. Only teas. I’m just not sure why. No more tours on Day 5. I will use PHP currency because most of our expenses were paid in PHP via advance online booking in Cebu pacific, Agoda, Klook, and KKday. Exchange rate varies from time to time. In our case, we withdrew cash from ATM at Taoyuan Airport using BDO MasterCard. Exchange rate was around 1.733 PHP per 1 NTD. Plus BDO service fee of 3.5 USD (≈182 PHP) per transaction. Exchange rate at NAIA money changer was 1.95 PHP per 1 NTD, which would be a big loss for us in case we choose to exchange money there. You may also exchange your PHP to USD at NAIA, then USD to NTD at Taoyuan Airport. King Plaza Hotel: The cheapest we can find when considering location, buffet breakfast, and bathtub! Eliminating the breakfast in our food budget was a big advantage for us. We were able to allot 800 PHP per person for lunch, merienda, and dinner. Pocket WiFi: We availed this here. Do take note that price varies (minimally) from time to time along with exchange rate. EasyCard + 1way Airport MRT Ticket: We availed this here. Do take note that EasyCard is empty so you still need to top-up load in any 7-Eleven and Family Mart stores. Price also varies (minimally) from time to time along with exchange rate. THSR Vouchers: We availed this here. Price varies (minimally) from time to time along with exchange rate. Northeast Taiwan Day Tour Package: We availed this here. Price varies (minimally) from time to time along with exchange rate. Yehliu Geopark Admission Ticket: We availed this here. Price varies (minimally) from time to time along with exchange rate. EasyCard Load: We initially topped-up 300 NTD load, then additional 200 NTD when it was near empty. You will see your remaining load whenever you tap your card at MRT, bus, 7-Eleven, Family Mart, and any stores accepting EasyCard payments. Note that you can only top-up a minimum of 100 NTD per transaction. Unused load is refundable but the card deposit is not (instant souvenir!). Our 500 NTD load was basically spent for train rides (except THSR), bus rides, and pasalubong (at a grocery store with “24” in its name). Zhongshe Flower Market Entrance Fee: Price is 150 NTD during tulip season. It’s cheaper during non-tulip season (around 120 NTD). Shifen Lantern: Price depends on the number of colors. Cheapest is 100 NTD for 1 color. We didn’t want to spend much here since it’s not of a big importance for us. Food Budget: 460 NTD (≈800 PHP) per person per day was more than enough for us. Foods were surprisingly filling even without rice! With that budget, we were able to eat some of Taiwan’s food trademark: Xiao Long Bao, Bingsu (Snow Ice), Stinky Tofu, Milk Tea (everyday! ), and so much more! And that’s pretty much it! 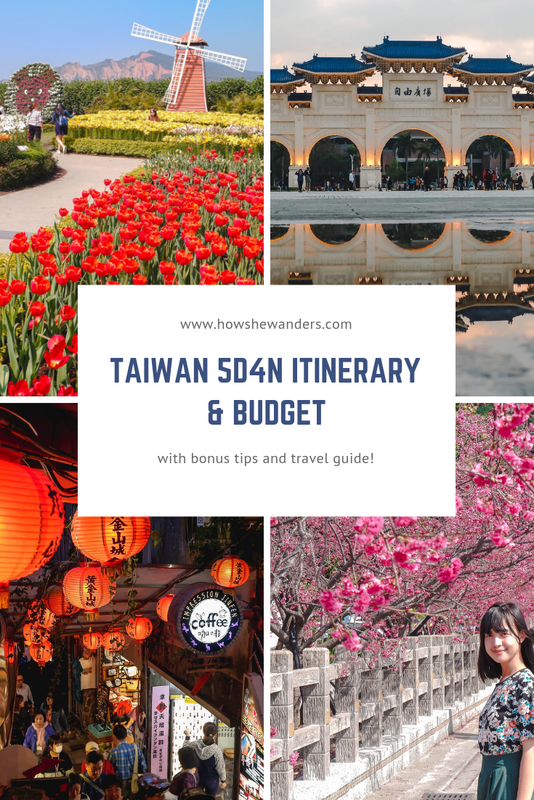 It’s not the cheapest way to explore Taiwan but it’s not luxurious as well. 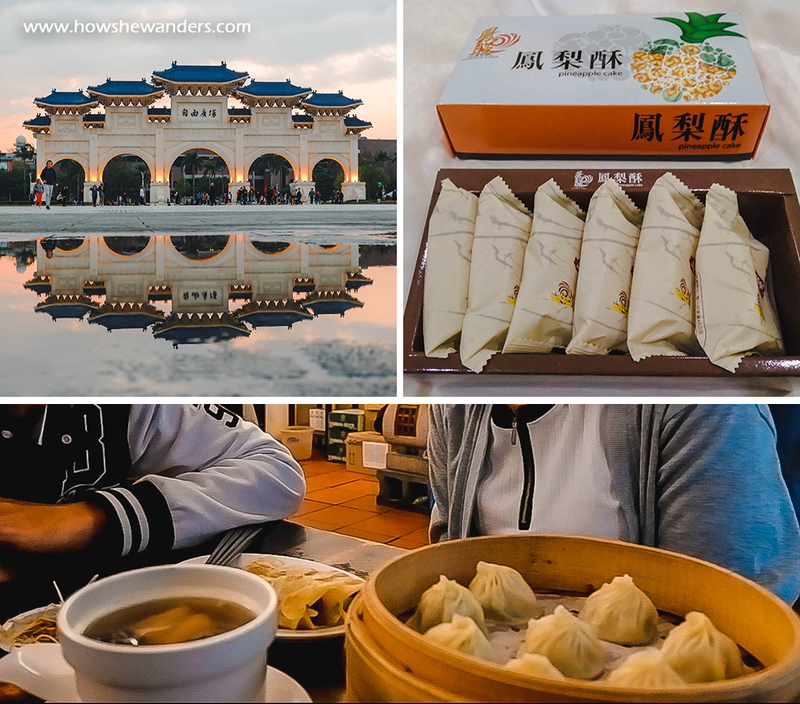 If it’s your first time visiting Taiwan, this itinerary may suit you. You may also add Maokong Gondola, Tamsui, and Alishan if you will be staying a little longer. You see, Taiwan is not so difficult to DIY because of their very efficient (and fast) transportation system! If I will be asked to turn back time, I’d exchange Yangmingshan to Maokong Gondola (given that we need to return to Taipei City in the afternoon). How about you? 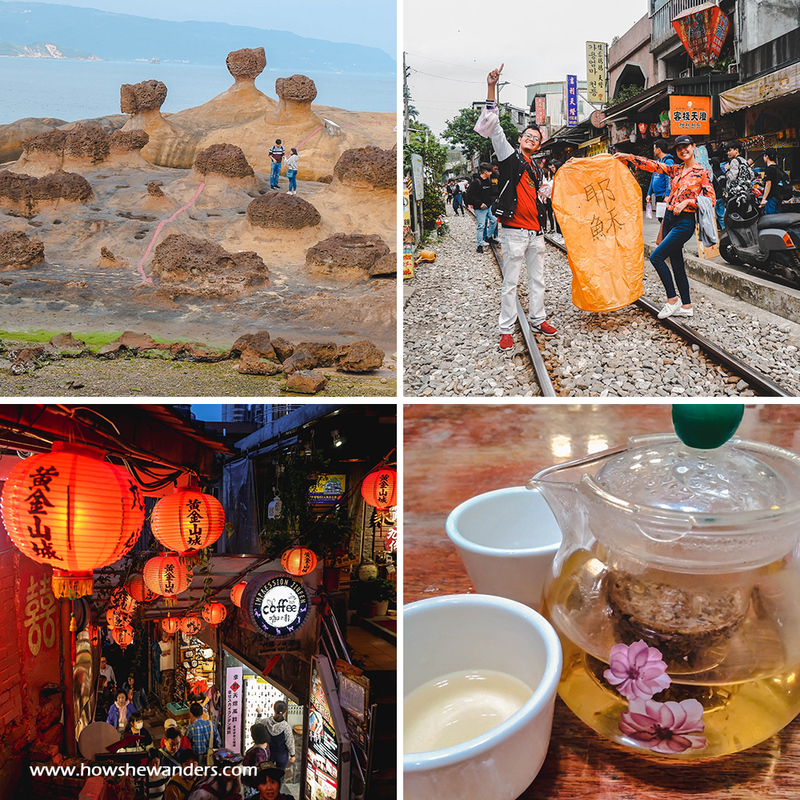 Have you also explored Taiwan? How’s your first Taiwan trip? Share it in the comments! Are you in Pinterest? Pin it for later! Btw, thank you for stopping by my blog 🙂 I am glad to have met a Filipino blogger here on WordPress 🙂 More power to you! You explored Taiwan more than I did! Very detailed post! Keep exploring and blogging. More power! Hi Dea! Looks like you packed quite a bit in your short trip to Taiwan. Loved your pictures and the blossoms look amazing. A very well planned and written post.